While Nintendo of America has opted to put a whole range of titles on discount across an extended weekend, Nintendo of Europe is going for a different approach. It looks set to highlight a series of daily deals across four days, and has announced four retail games that are reduced today (27th November), on the eShop. Those are the first day's deals, and no doubt they'll switch up in a little under 24 hours; are any of them tempting you? The Wonderful 101 - still my favourite Wii U game. Well that's kind of disappointing! As usual, physical stuff is still cheaper. Wonderful 101 has been popping up a lot for under £20 lately. I'm hoping for VC games or eshop only stuff as retail titles are so overpriced to begin with, even a fairly large discount still means they're not that much of a deal. Nintendo should have developed a proprietary external HD for the Wii U.
Sony deals on all their hardware is so much better then what Nintendo offer. Maybe it's finally time to pick up 3D Land. Well, 3D World is tempting considering physical of that game will be a bit more expensive. But I'm going wait for a better deal. Hoping there's going to be a big sale on VC games. Meh, got 3D World for the same price on day 1 and W101 as a freebie for...Mario Kart I think. They'll have to step it up by a lot, if they want anyone who had their Wii U for more than a month to buy anything. Woah...Nintendo such good sales . This is honestly a huge disappointment, especially when you compare to how Sony does sales. If they really wanted 'major discounts', then 3D World should be £10-15, Wonderful 101 should be £5, 3D land £10, and Puzzles and Dragons £5. I'd prefer if they show all the deals on games they have from the beginning as I will be away on the Weekend so will be unable to purchase any Wii U games. 3DS I can, as thats coming with me. @Chubblings it's not disappointing to me, because that's just what I predicted: even with the discounts the games will still be cheaper at retail. Why are they putting up Mario 3D World for sale when 5 millions already bought it? This is the the worst Black Friday sale ever compared anything probably. Wow so impressed. This is totally going to make us empty our wallets to get these impressive deals. Nintendo totally gets how to price their games. As I said in the other thread; if SM3DW is cheaper in retail then show me. If I can't find it cheaper by the end of the day then I'm grabbing that one. Pathetic number of games selected. NoE frequently treat us with utter contempt, so I'm not shocked. Just drop the damn market already, the UK is lost and it's just a waste of time. Why do some of you always want Steam-esque deals on Nintendo games? Nintendo doesn't prostitute out their games and that's worth a lot of respect in my book. Not tempted as I allready own all four games. Got all of those already, so no deal left for me. But I wouldn't have gotten to that, anyway - no disc, no sell. @ThomasBW84 you got some prices wrong. 3D Land is normally 44.99€. It's 26.99€ on sale. Amyway, I'm getting TW101. Digital only for me so it's a good deal. @Splatburst Ah ok, I only have a UK unit here so I was using a calculator for the 40% discount. Thanks for the heads up. We need more lol but a good start hopefully this aint it tho. Hoping for better deals in the days to come. You only got the 3D Land's normal price wrong which should be 45€ and not 50€. @The_BAAD_Man Why would you want that when it could only be more expensive and slower than a regular one. Not exactly what I call a deal but I have 3 of the 4 games anyway. 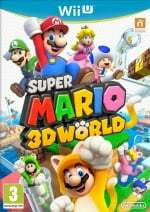 Super Mario 3D World is my favourite Wii U game, I strongly recommend it. If you don't have it, and can't the physical copy cheaper, do get Wonderful 101. It's incredible. @kobashi100 Microsoft BLOWS Nintendo out of the water. This is just terrible. 2 deals per system and not very good ones per day? If you'd of just half priced some VC and eShop titles, I probably would of brought a few dozen. For a change, NOA did it better. @LemonSlice We want steam like sales for many reasons. 1. It helps Nintendo remain competitive with other platforms by enticing people to their platform with their exclusive games, and lowering hardware/software prices can do this very well, especially with a marketing campaign behind it. Something Nintendo ABSOLUTELY NEEDS at the moment. 2. Games that are cheap enough can go into impulse buy territory. Granted, they shouldn't be too cheap, but Nintendo has never priced their published games competitively on the eShop. Any Wii U owner would buy Mario 3D world for £15. £30? Not so much, especially if a physical disc copy is cheaper. 3.More sales = more awareness of said game via word of mouth. Most games that have had a steam sale sell better even when the price has returned to normal. 4. Most people are strapped for cash/stingy and want to get the games they desire for the best possible price. I'm not personally averse to paying more but I would rather pay less. Racing to the bottom is not a good idea long term, but if you are fast becoming irrelevant, you probably do need to compromise a bit. Microsoft did this with the Xbox One, and it's sold decently as a result (although that's another story). Nintendo needs to do this too, otherwise they will be forgotten and people will move on from Nintendo platforms. As for the selection itself, it's absolutely pitiful. Where's Codename Steam? Where's Bayonetta 2? Where's all the other games that didn't sell well? 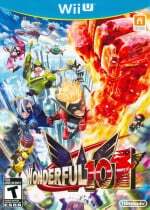 Wonderful 101 is 29.99€ with this limited time 40% discount here in Europe, while the standard price for this game is 29.99$ in North America and they get it for 19.49$ this whole week! (The euro also has a higher value than the dollar)! Anyway, I guess it's about time I buy W101 and add it to my backlog. It also bugs me that Ubisoft crapped on Europe and only had their summer sale in North America this year. Is this region bias thing something that only happens on Nintendo consoles or is it common on the other consoles as well I wonder? I was so hyped but it deflated deals not so great and I have all those games anyway! I just got Super Mario 3d Land with the post today for my daugther as a christmas present which I bought used on eBay for €26. That's pretty much the same price as the the eShop deal from Nintendo and we now got the game as physical which is ofcourse preferable. Those considering picking up 3D Land through this offer, consider eBay used instead. @The_BAAD_Man They are selling 8 GB SD cards for € 30!!! Don't miss them! Why no third party sales in Europe? I was hoping to get Rune Factory 4 for cheap. So will today's sales only last for today? If that's the case then I prefer if we got all the deals at once like with NOA's deals! But... of course I would rather have them each day rather not not having them at all. @The_BAAD_Man Why proprietary? Dig its own grave like Sony with the PS Vita? I ended up getting P&DZ but was disappointed to learn they stopped distributing relics a while back. Not being able to fully complete a game because of things like that is disheartening. Already have 101 (one of my fav games on the system) and both Mario titles. Not interested in Puzzle & Dragons. Also whilst these are great prices for these games, they're not that competitive. None today though tempted by 101, can't see me getting any retail titles for 40% off given the starting point. Whoever is in charge of Nintendo Europe's online presence needs to get the push. There is no details of any sales on the UK website. Its on the front page of the US one. 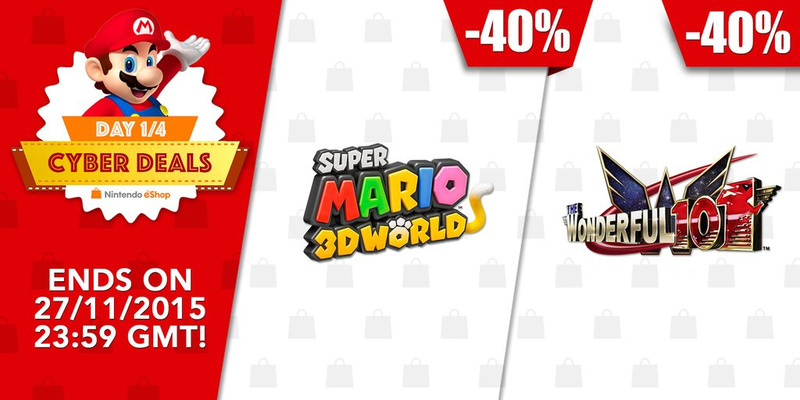 These day 2 discounts in NZ will probably be in effect in Europe also in a few hours: https://twitter.com/NintendoAUNZ/status/670391705221361668 Or maybe not. W101 didn't impress me the first time I played the demo last year, today I gave it another shot because it's from Platinum games and it was better, but still not really convincing (I got stuck in a building with that awful inside camera on the Gamepad. The idea is great but the execution is just terrible). Mario 3D World is still a disgrace to me, although I get why they did it. But I want a real Mario 3D game, so I won't buy that. Unfortunately, tomorrow we get Pikmin 3, DKC: Tropical Freeze and I already have both. So I'll wait for the deals on Sunday and Monday. But I don't get what the fuzz is about, I think 40% off is a great discount. It's more than for most games on Steam sales. If I wanted to have M3DW and W101, I would totally buy them for that price. And comparing the prices to retail is also wrong. You forget that with the retail version you have the disadvantage of not having the game on your console. This means you always have to change the discs. If I had to buy all the games I got on my Wii U in retail, the boxes would take up a lot of space. Also, I would need a huge extra back whenever I take my Wii U with me. Besides, in 10-15 those discs will be use- and worthless, while the games on the USB stick will live on forever. I would even happily pay more for the digital version than the retail version. As long as the retail version isn't heavily cheaper. The only retail game I own is Smash, because I got it for 39,99€ with the Mario Amiibo. And that disc will stay in the drive forever, I won't buy another disc game for my Wii U.
I don't get what everyone is so worked up about? What makes you feel entitled to a big number of reduced games? Just because other platforms do it? I second @LemonSlice on this. Don't act like everyone "deserves" cyber deals. They're still just a bonus and nothing you should take for granted. @crazycrazydave I'm sorry, but this is just a BS excuse to get cheaper games. No eshop game discount will create more console sales for Nintendo, that ship has sailed long ago. At this point, if anyone still buys a Wii U, it's because they are convinced by the console, not because of some temporary game sales. Those are only relevant for people who already own a Wii U. So game discounts aren't anything Nintendo "absolutely needs" at the moment. They are doing it just out of courtesy. Your theory of "More sales = more awareness" is also wrong. That might be the case for Steam, but Steam is very different from the eshop. Not only is the PC market different in general, but the pool of customers is vastly larger. Mimicking Steam sales will achieve nothing for Nintendo. Steam themselves couldn't do that if they hadn't already gained such a powerful position and financial background. Have you even read the article (or other articles) before ranting off? The sales go for four days and every day there are different games on sale. So Bayonetta 2 and other games getting a temporary discount is totally possible. @freaksloan: Really? I don't see any proof. MS doesn't even publish its console sales numbers, the last official number is from two years ago: 3 million sold Xbox One units. So obviously the XB1 hasn't performed well and therefore MS doesn't want to publish the numbers. On some site they said approximately 15 million, but that's just an estimate. For all we know it could be half of that. In comparison, Wii U has sold roughly 11 million units while the PS4 has reached 30 millions. Wii U doesn't even really compete with those two, most people who buy a Wii U do it probably out of conviction or they also have a PS4 (or maaaaybe a XB1) at home. The XB1 competes with PS4 and it has lost that fight disasterously. The PS4 took sales away from Microsoft to get to 30 million units, not so much from Nintendo. 30 millions units on it self aren't that either much if you compare that with historical console sale numbers, so obviously less people buy a home console than in previous generations. @shani I did say that one of the reasons is to get cheaper games. And I didn't say the games discounts were the thing Nintendo needs, it's Nintendo's competitiveness and relevance in the market that it needs. Also, how do you convince people to buy a console with few games and have the games still close to RRP? Even Xbox One and PS4 bundles are as cheap as the Wii U now, and their game sales are far better than the Wii U. Everyone who wants a Wii U likely has it, except for maybe the odd kid that discovers Splatoon or some other game. More sales = more awareness is always right, regardless of which platform and which product. That's why companies market their product. How many indie games have gotten popular because of a sale and more people talking about it? I don't think I would ever have played Shantae if I didn't hear lots of good things about it. If it did nothing for Nintendo, then why would Sony and Microsoft consoles hold sales if they weren't making as much money? I did read the article, 4 games a day for 4 days is 16 games (Unless Cyber Monday changes things up but i doubt it). For 2 platforms. There are about 30 games on sale on the PS Vita alone for Black Friday. And I don't need to say anything about the amount of games on sale on Steam right now. Nintendo's selection is still pitiful. Also, if you want to pay that much for your digital games, that's fine. What i'm saying is that it's not good enough. Nintendo aren't trying at the moment, and their lack of effort in competing with other consoles, PCs and mobile devices shows this. Yeah there are so many game sales on Sony's platforms because they don't need the profits that much. Sony is a much bigger company that doesn't rely solely or mostly on their gaming console. Also, their userbase is much bigger, so they can give a better discount generally. Think about what you're saying. You really want 30 games on sale for Wii U? Either they would have to discount the most terrible games or they would basically gift away the console's best games for nothing. That's not a good marketing strategy, it basically says "all our games are cheap crap, even our best ones". Even Steam doesn't give discounts on more recent games or blockbusters. Because those games are just so good that people buy them anyway. I don't know how you imagine it, but more discounts surely don't automatically create more awareness. The discount is only noticed by Wii U owners, not by people who don't have the console. I never saw or heard anyone buying a Wii U just because one game was on sale. This would maybe make sense on a mainstream console, but not on a niche console like the Wii U. No one will buy it because a few games are on a temporary discount. You said yourself: "I don't think I would ever have played Shantae if I didn't hear lots of good things about it.". Exactly. What matters, is that you heard lots of good things about it. Not that it was on sale. What good is a terrible game on sale? It still stays a terrible game. I always recommend Affordable Space Adventures or Runbow to people (or more precisely: one or two friends with a Wii U) because they're good, not because they are or were on sale. And I highly doubt that any indie game became significantly more popular just because it was on sale. They become popular if they offer high quality. @shani Sony puts out sales for all it's platforms, yet it needs profits from the PS Vita really badly because it's tanking too. Why not go the way of the Wii U and only put a few games on sale? Because it gets people talking and it gets it to the front of the store page! Yes what I'm saying is I want 30 games on sale, people who are holding off on buying certain games will drop the money on it when it gets to a certain price point. It doesn't always have to be £2.50, but it can be £10, £15 or even £20. It also doesn't have to be recent games (although you're wrong about games that are recent releases not having price drops, GTA V has been out for 7 months on PC and is 40% off, lower than Super Mario 3D world which is 2 years old. Even Fallout 4 is cheaper now and that was just released.) They have a backlog of games that they could put on sale over the past few years between the 3DS and the Wii U. You're also incorrect on cheap games being cheap crap. That would mean just about every developer in the world makes cheap crap because they get put on sale, or drop in price. It would make GOG the biggest garbage bin of games too, and it's definitely not. Besides, you need to check this out. NoA have gotten the right idea, although again, some of their retail games are too expensive. You're right, the discounts aren't noticed by those who don't play on Nintendo platforms. If Nintendo had more games on sale and Nintendo players bought games they wouldn't normally try, they would recommend them to their friends who don't own the platform, thus making it more lucrative for potential buyers that look at Nintendo as Mario/Zelda/Pokemon. That is the awareness that I'm talking about. Word of mouth. Nintendo shouldn't be accepting being niche, it should be trying it's hardest to sell it's platform even when it's failing. Touche on Shantae, that was a bad example, Wayforward is quite a well known studio. But Shantae and the Pirates Curse is 50% off on Steam right now and the NoA eShop. Wayforward still want more people buying their game, even when it's good. Quality =/= sales. Refer to some of Nintendo's games that have been good quality like Bayonetta 2, Codename Steam, the Wonderful 101 (btw, cheaper physical than the digital storefront), and many other games that haven't reached a wider audience. Most of them failed because they were marketed poorly and haven't dropped in price. Sales give poor selling games a second wind and a good chance to sell better even after the sale ends. I'm not going to leave anymore comments about this because at the end of the day, Nintendo needs to stop being arrogant and think their games have to be sold as close to RRP as possible. They are the ONLY ones that do this. Games always devalue over time, that's why they don't sell their Virtual Console games for their original RRP. They're in a pretty dire situation right now despite a lot of cash reserves, and they need to be creating good customer faith for NX, mobile and any other developments, not gouging people for as much money as possible. @pabloff9 @PorllM I guess what I really meant was that with such an emphasis on digital downloads and digital sales, the internal HD on the Wii U really should have been much larger. 32 GB just doesn't cut it these days. I know there are some options but they have to be formatted to work exclusively with a Wii U so looking at it that way, Nintendo could have missed a chance to sell their own Wii U external HDs.